Toocool series 5, I believe is the best yet. The stories are stronger, and better, offering the reader more than ever before. Students that enjoy humour and adventure will love this the 5th series of Toocool books. 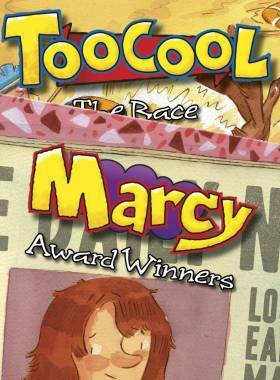 A special bonus in this new TOOCOOL series are 5 new Marcy books. MARCY is of course TOOCOOL’s friend and main source of annoyance and features in most Toocool stories. A package of 10 great new books! © 2019 Phil Kettle. All Rights Reserved.